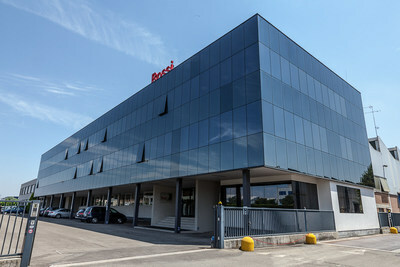 MODENA, Italy, March 26, 2019 /PRNewswire/ -- Rossi S.p.A., a leading company in the design, production and distribution of gear reducers, gearmotors and electric motors, is pursuing its internationalization process. Over 50.000 hours training, 10.000 on Safety; a drastically decreasing accident trend: 0,15% accident hours on worked hours. Company Certifications: OHSAS 18001 (Occupational Health and Safety Assessment Series), ISO 9001 (Quality) ISO 14001 (Environmental Certification), MOG Dlg.231/01 (relevant to Health, Safety and Environment crimes). Next goal will be the adaptation to ISO 45001 (Health and Safety). A new logo and a new visual identity, with the purpose of promoting values, technological innovation and new solutions for customers. "We design top quality, cutting-edge, reliable technological solutions with high standards," Marco Mearini, Managing Director, says. "Thanks to these new investments we are going to increasingly be able to satisfy any requirement." "The next years will be rich with challenges and opportunities," Giovanni Volpi, Rossi CEO and President, comments. "We are extremely proud to accelerate our development to bring momentum to Rossi international competitiveness." Rossi is tending increasingly to become a "Global Partner", able to offer high quality and customized solutions. This allows Rossi to get important contracts from major international market players in various industrial sectors. In 2019, the main markets are tending to invest and the order portfolio is in line with expectations. 2018 consolidated turnover is around 150 Mln Euro, with a 15% growth compared with previous year; 2019 is following the same growth trend. Rossi is waiting for you at Bauma exhibition in Munich from April 8th to 14th, 2019, Hall A3, Stand 308. ROSSI designs, manufactures and distributes a comprehensive range of gear reducers, gearmotors and electric motors, for several applications and industry segments worldwide. Founded in 1953, Rossi has over 900 employees (250 abroad) and is active all over the world thanks to 15 international subsidiaries and three production facilities in Italy. 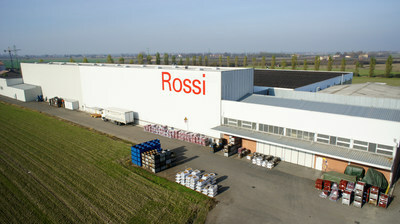 From 2004 Rossi is a Habasit Holding Member company, worldwide leader with Headquarters in Switzerland.